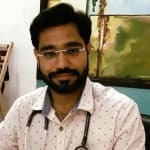 Dr. Himanshu Grover (MD, Ayurveda) is perhaps one of the few notified ayurveda consultant in Yamunanagar, being one of the best in the town he makes sure to deliver best possible results to whosoever requires ayurvedic consultation. He believes in results than words and false claims, which has earned him quite a reputation in this sector. Dr. Grover not just in curing his patients using Ayurvedic treatment, but he is also keen on understanding the root cause of the problem. So far he has carried out extensive research on various psychological and physical problems and how it can be treated using Ayurveda, for this he makes use of traditional and ancient treatments based on ayurvedic studies. His area of expertise lies in treating the joint diseases, arthritis and digestive disorders using natural healing procedures strictly. In addition to this he has a vast experience in treating diabetic patients and people with high infertility rate, moreover he is also known for treating those suffering from extremely complicated diseases which allopathic treatment failed to cure. Dr. Grover?s consultation fee is only Rs. 100 and he prefers English and Hindi languages are a medium of communication. During Doctor Himanshu?s 5 year long journey to set up his own panchkarma centre, he got well versed with ayurveda therapies and attained the subject knowledge. At present, his panchkarma centre is recognized as a temple of well-being among his patients in Yamunanagar. His valuable offerings in the field of Ayurveda have earned him a reputation as one of the most influential Ayurveda consultants in Yamunanagar.